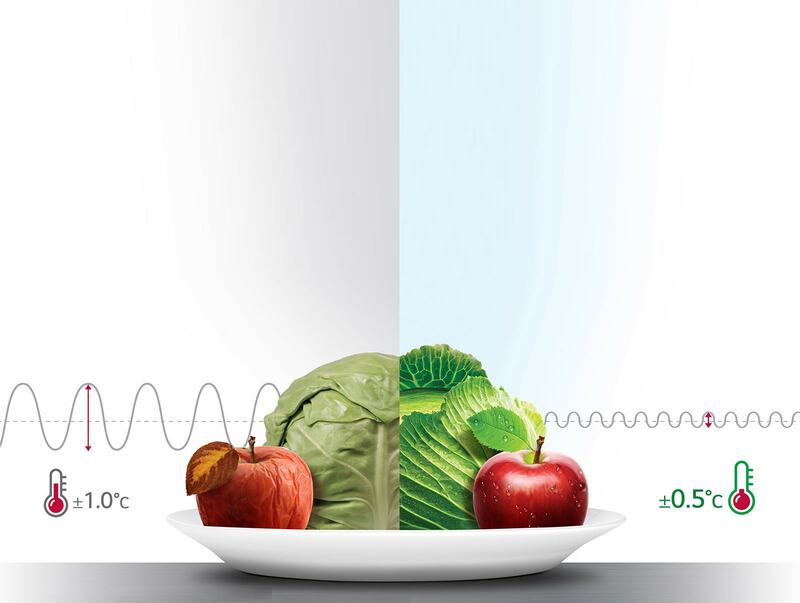 With LG New LINEAR Cooling™, the temperature only fluctuates within ±0.5℃, with steady and even temperature, it keeps food fresher and longer than a conventional cooling system. 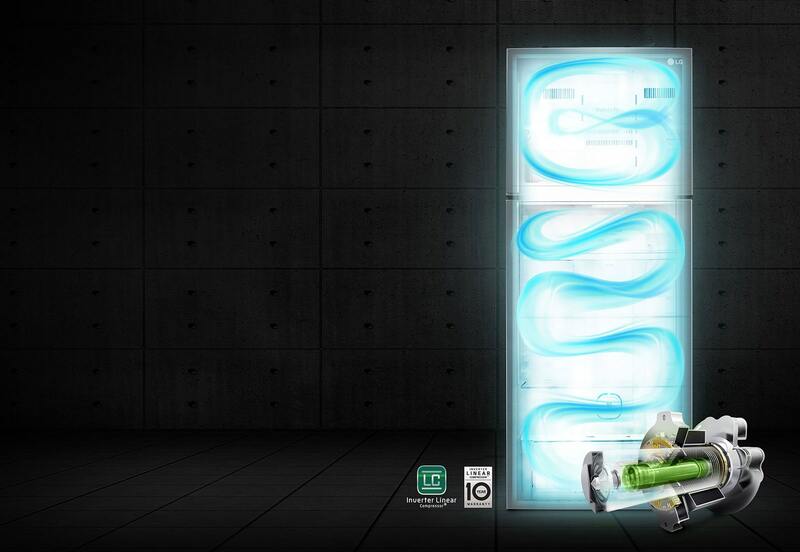 Energy efficiency of home appliances is now a key purchasing factor to consider. Thanks to LG’s Inverter Linear Compressor®, ensuring market leading efficiency by using less components than conventional compressors. Hence, Inverter Linear Compressor® has less friction points, making less noise. 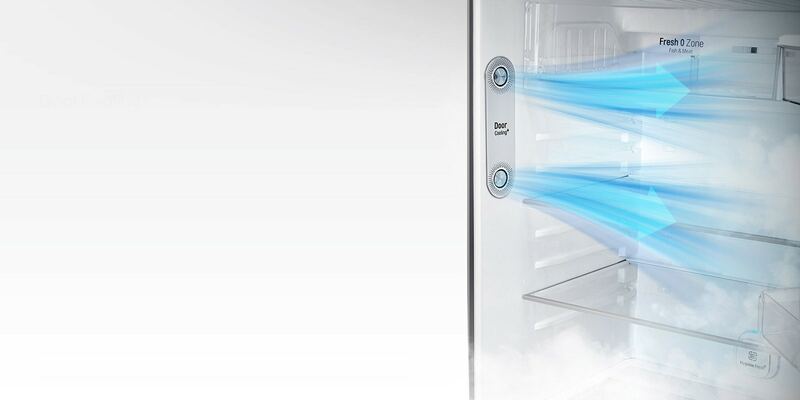 For those who open the refrigerator door often, Door-in-Door® feature allows you to reach your favorite beverages and snacks easily. 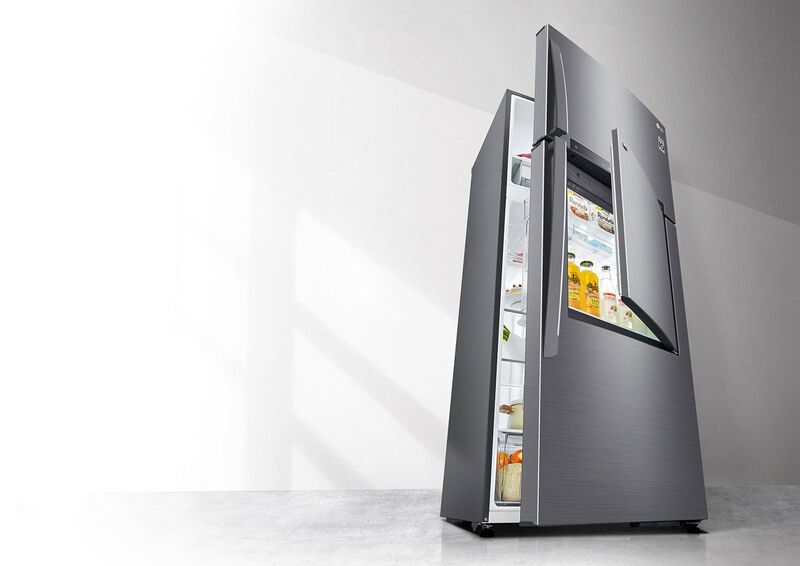 LG's top freezer refrigerator has a detachable & moving ice maker which you can easily take out and move this ice tray whenever they need more feezer space.